For the second straight week, UNC will remain the No. 8 ranked team in America according to the AP Men’s Basketball Top 25–which released its newest edition on Monday. The Tar Heels have won their last seven games and are tied atop the ACC standings with Duke. Tennessee–riding an 18-game winning streak–held onto the No. 1 spot in the poll for the fourth straight week, while Duke, Gonzaga, Virginia and Kentucky make up the rest of the top five. Rounding out the top 10 is a group that includes: No. 6 Michigan, No. 7 Nevada, UNC, No. 9 Houston and No. 10 Marquette. Other ACC schools besides Duke, Virginia and UNC in the poll are No. 16 Louisville, No. 17 Florida State and No. 22 Virginia Tech. 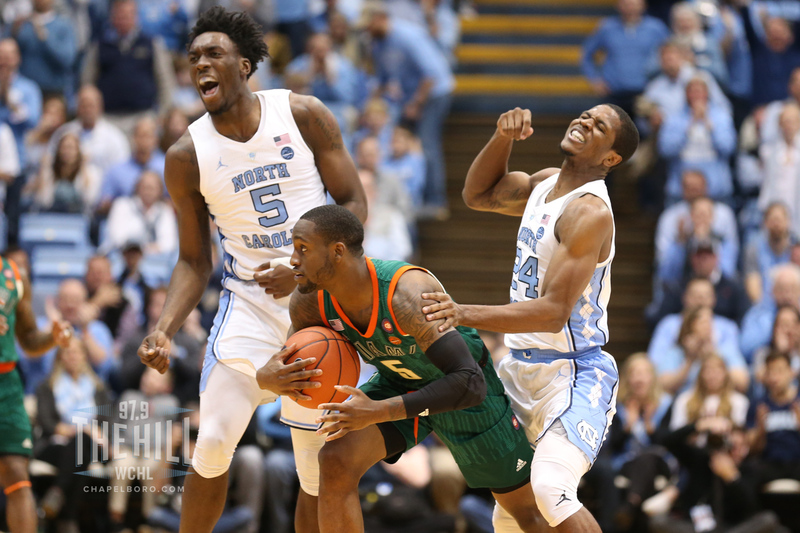 The Tar Heels have a top-10 showdown on Monday night at the Dean Dome against Virginia that is set to begin at 7 p.m.
For the full AP Men’s Basketball Top 25, click here.